This light came very very quickly, packaged well. Nothing missing. I love the bronze accents and it appears to be very well made. We are in the process of putting it up and I know this will complete the look and feel of our bathroom perfectly. 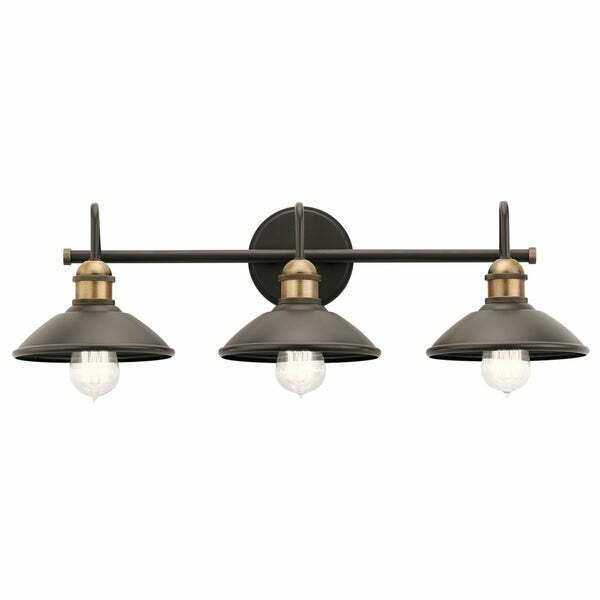 This Clyde collection 3-light bath/vanity light features an olde bronze finish that will complement many lodge, country, and rustic decors. Clean lines of the steel frame, along with the matching metal shades add interest giving a unique look for any bathroom or vanity space. Dimensions: 7.25 inches high x 26.25 inches wide x 8.25 inches deep. Dimensions 8.25 In. X 26.25 In. X 7.25 In. This light looks great in our powder room. It has a sturdy build and has a high-quality look. The level of light is just right for our room. 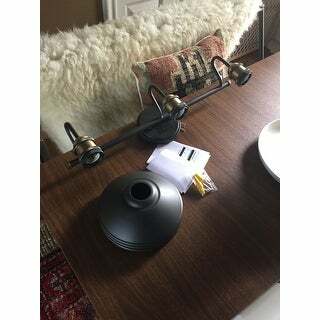 Very well made lighting the quality surpassed my expectations. If you are looking for farmhouse style lighting this is a great addition to your bathroom. love this light! very farmhouse and sturdy. This item goes great with the copper in the shower. Prices are great. I shop around but with the great discounts I always end up shopping with Overstock. Plus their customer service on returns is simple. I did not like these lights because they looked cheap to me. "Does this light come with the nickel finish ?" After looking at over 1000 of these lights, I finally came to to this one and now can “die happy”. That is, of course, not my first choice!